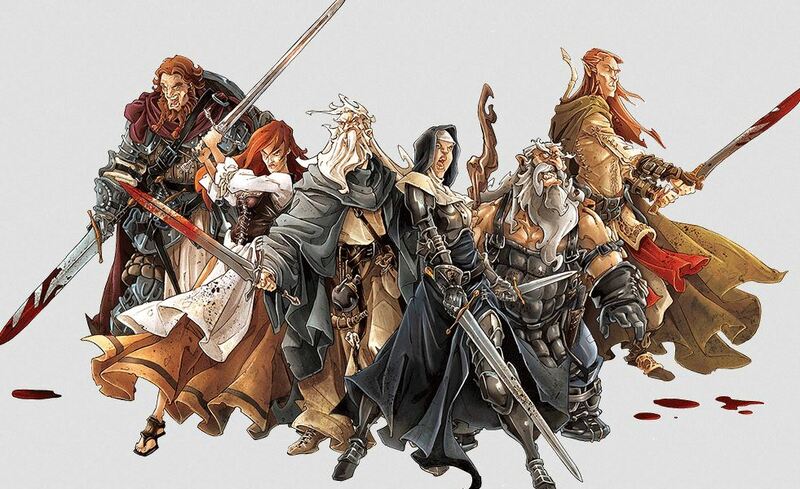 The arcane powers of the Necromancers have unleashed a zombie invasion in the age of swords and sorcery, and it's up to your group of straggling survivors to not only stay alive during these dark times, but to take back the realm and punish those responsible for the apocalypse! 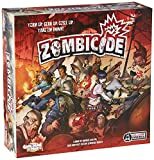 Zombicide: Black Plague allows you take control of paladins, dwarves, knights, and magicians, wielding powerful swords, crossbows, and even magic spells to defeat the zombie hordes and its Necromancer overlords. 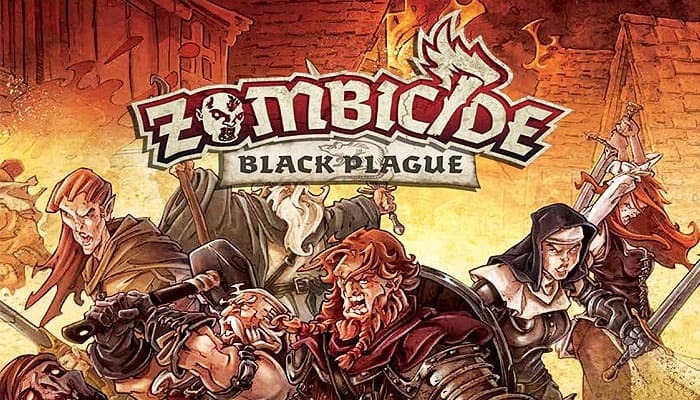 Take on the zombie invasion from the medieval streets to secret vaults that create quick passages through the citadel (and often hold special artifacts). Chase down the elusive Necromancers to keep them from multiplying the zombie masses. And tackle a whole new set of missions through which your group of survivors will become the heroes of the land (or the last victims of the zombie massacre). Zombicide: Black Plague is a cooperative game where one to six players face hordes of Zombies controlled by the game itself. Each player controls one to six Survivors in a fantasy world invaded by Zombies. The goal is simply to complete the Quest objectives, survive, and kill as many Zombies as possible! For all their ferocity, zombies are dumb as dirt. You pretty much know what they're gonna do. Unless there's a necromancer around, of course. That's when you've gotta be smarter. A determined group, even a small one, can hold the stupid hordes at bay. Just keep careful, keep quiet, and strike without mercy, cause you sure won't get any from them. 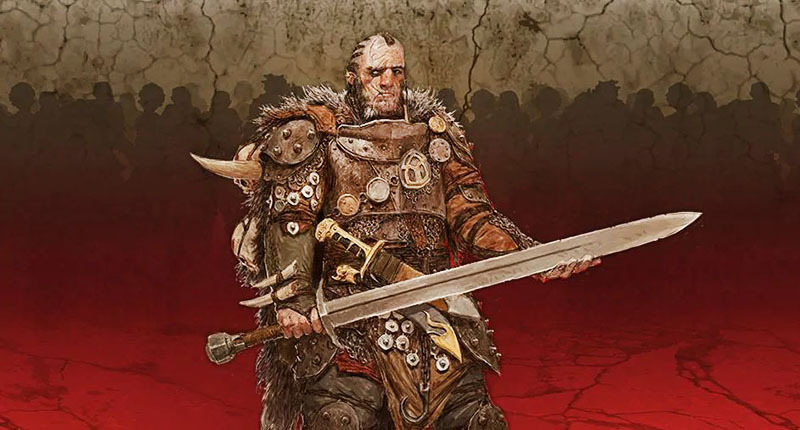 Any fool can charge the enemy with an axe. Killing quickly and efficiently though, that's the thing that takes guts and skill. And with zombies, well, not every hit will do the trick. Hack a man's arm off, and he's down for the count. Hack a zombie's arm off, and he can still get you with t'other. You gotta be swift and sure, or you'll wind up as one of them.